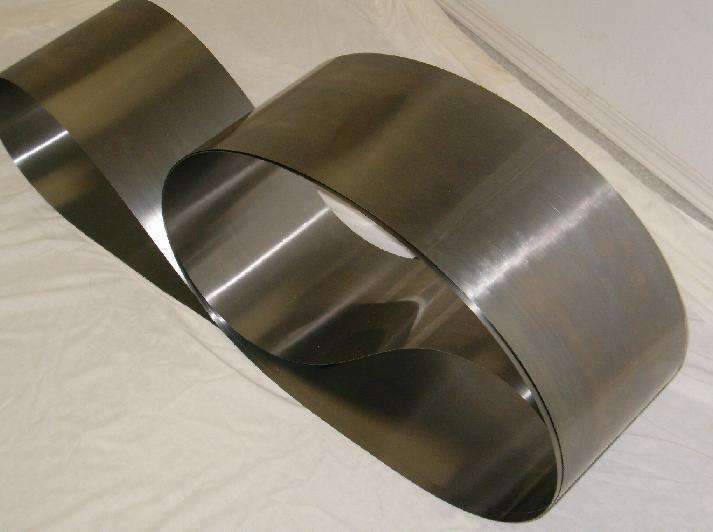 Hiperco50 alloy is a soft magnetic alloy which has been used primarily as magnetic core material in electrical core material in electrical equipment requiring high permeability values at very high magnetic flux densities. 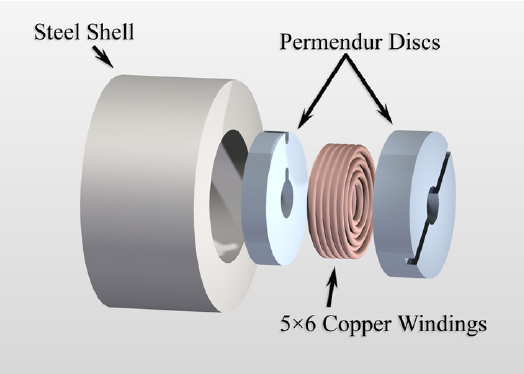 The magnetic characteristics of this alloy permit weight reduction, reduction of copper turns, and insulation in the end product when compared to other magnetic alloys having lower permeabilities in the same magnetic field range. Permendur is a cobalt-iron soft magnetic alloy with equal parts of cobalt and iron . The alloy was invented in the United States around 1920 . Standard permendur compositions coined Fe-Co 50/50 or 50Fe-50Co may contain carbon up to 1% while a composition patented in 1932 named Vanadium Permendur, Permendur 2V. 50Fe-50Co and 49Fe-49Co-2V alloys all have high permeability with little loss and highest flux densities at saturation point (saturation induction is around 23000-24000 Gauss) available amongst commercial soft magnetic alloys. Its magnetic transition temperature is 980 °С . Its name in Russian is пермендюр (49К2ФА). Hiperco 50A alloy is a soft magnetic alloy which has been used primarily as magnetic core material in electrical core material in electrical equipment requiring high permeability values at very high magnetic flux densities.The magnetic characteristics of this alloy permit weight reduction, reduction of copper turns, and insulation in the end product when compared to other magnetic alloys having lower permeabilities in the same magnetic field range. The following charts include typical machining parameters used to machine Hiperco 50A alloy. The data listed should be used as a guide for initial machine setup only. When using carbide tools, surface speed feet/minute (SFPM) can be increased between 2 and 3 times over the high speed suggestions. Feeds can be increased between 50 and 100%. 1. For best magnetic soft characteristics, select the highest suggested temperature. 2. If the application requires specific mechanical properties higher than that produced when employing the highest temperature, select the temperature that will provide desired mechanical properties.